Charm has been married for 17 years and has four children and a standard Poodle named Miles Davis. She enjoys sharing her “clean eating” meals on social media as Chef Charmee. To keep it simple, Charm enjoys lean meats, veggies and fruits. Her favorite healthy snack is avocado. 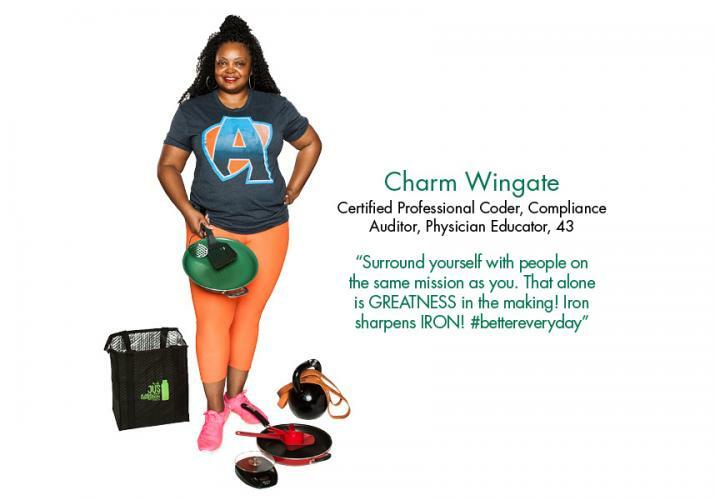 For anyone getting started on their fitness journey, Charm suggests signing up for the Aspire Fitness aspirefitnessky.com/subscribe-to-our-mailing-list free newsletter, which offers nutrition and fitness information. She also suggests keeping it simple and starting with the basics and stay positive, it’s a journey not a race. 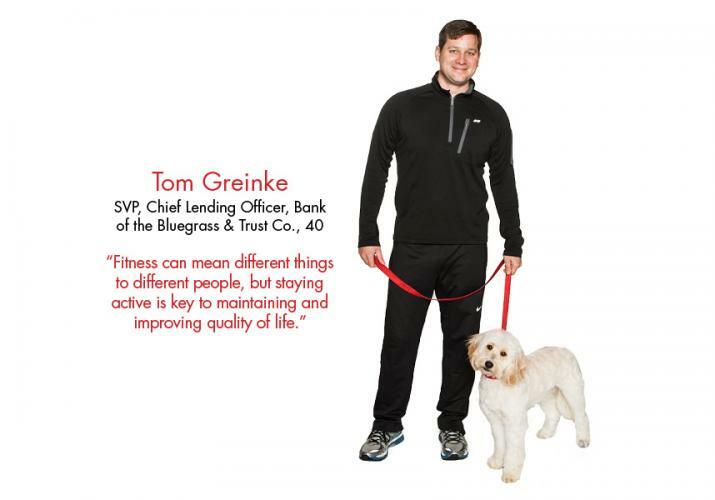 Tom is a firm believer that fitness should be a part of an everyday routine. “I try not to think of it as ‘making time’,” he suggests. “Enjoy your fitness, do whatever you can do, as little as it may be – it all counts”. For Tom, his love of cycling began in college. He especially enjoys Lexington’s beautiful landscape while cycling in and around town. Tom prioritizes fitness because he endeavors to age as well as he can. “My great-grandfather lived to be over 100 years old. He was active every day, maintained a healthy lifestyle and enjoyed a tremendous quality of life beyond age 100,” he says. In addition to improving health, Tom suggests that fitness can be harmonious with the development and support of healthy relationships. “Walking the neighborhood and UK Arboretum with my wife and creating some ‘quiet time’ to truly communicate has been extremely beneficial over the past few years, especially as the kids’ number of activities has increased!” With his three children participating in basketball, baseball, volleyball, swimming, guitar and piano, plus his own involvement with Crestwood Christian Church, Eastern Little League and Glendover Basketball League, finding time to be fit with his wife Kelly is truly cherished. Tom enjoys cycling, walking, running, swimming and playing with his kids. In addition to being an avid recreational cyclist, Tom completed the Tough Mudder in 2013 (Maysville), Horse Capital half marathon (2015) and multiple 5ks, 10ks and sprint distance triathlons. When she’s not running or working out at Orange Theory Fitness, Angie volunteers with the Praise Team at Crossroads Christian Church and Capital City Christian. She is also on the board of Stop Heroin Lexington. Angie, a Physician Assistant, enjoys reading, trying new recipes, landscaping and gardening. When Kim was diagnosed with hypothyroidism after the birth of her first child, she fell out of the habit of staying active. “I just didn’t have the drive or energy to work out,” she explains. “After 15 years of not exercising, I heard about a free tennis clinic, so I decided to give it a try. I was hooked!” She joined the club and started taking lessons and group clinics. She read about the Whole30 program, a month long clean-eating diet. Kim tried it and lost twelve pounds. She continued to eat cleanly and found exercises that she enjoyed. Kim says that her Catholic faith played a critical role in her success and she realized that her body is a gift that needs to be respected and cared for. Kim works out with a tennis pro at Lexington Tennis Club three times a week and plays on multiple tennis teams. She and her husband are doing p90x and running together. Now, Kim feels great and has lots of energy; her joints no longer hurt and she is healed completely. In total, she has lost 86 pounds! 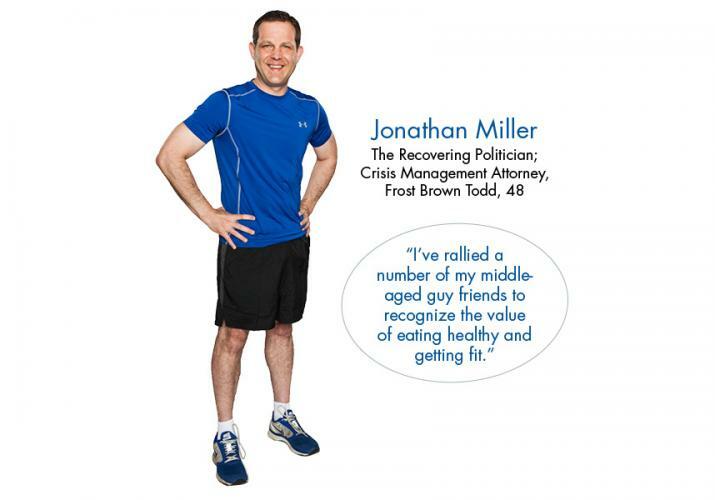 In spite of leaving his high-stress career in politics, Jonathan felt fatigued, his mood was impacted and he couldn’t lose weight. Even his hobbies were sedentary: writing for Kentucky Sports Radio and the Daily Beast, making the final table at the World Series of Poker. Knowing his own father died too early, he sought professional advice. He was diagnosed with what he calls “an un-funny case of Low T” and began testosterone therapy, which he calls a “godsend”. Now, Jonathan works out twice a week with his personal trainer, Josh Bowen at Aspire Fitness. “Josh is very conscientious to ensure that I don’t reinjure my back; in fact his strength and conditioning coaching helped me overcome a lifetime of back problems,” Jonathan explains. “And he sometimes laughs at my jokes.” Jonathan also does cardio four times a week and walks his dog, Apple. To keep his weight in check, he uses the Weight Watchers app. Jeff says he has been tall and lean most of his life, but he really picked up exercise six years ago after the unexpected passing of his father from a massive heart attack. 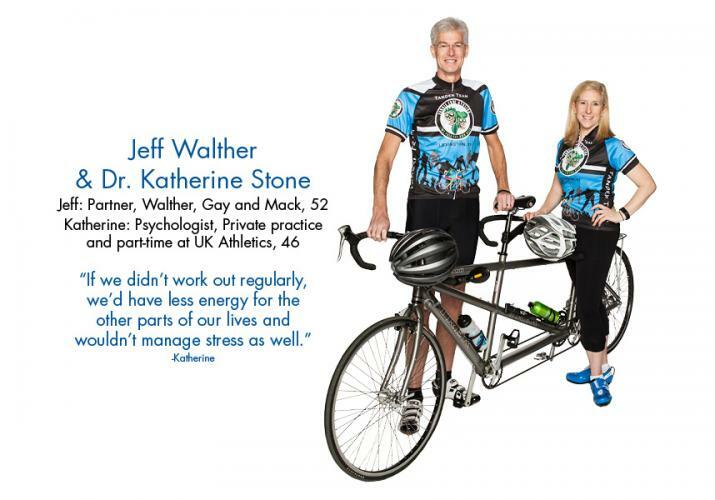 In addition to helping them stay fit, Katherine and Jeff say that fitness is a part of their overall wellness. Both of their careers can be stressful at times and exercise helps them stay balanced. When she’s not running her own business, spending time with her family or staying fit, Crinda is involved with Children’s Ministry, Southland Christian Church and KET. She is proud to have participated in the Leukemia and Lymphoma Foundation Rock and Roll marathon, despite running being her least favorite form of exercise. Pam and Matthew are a fit couple with busy lives. In addition to running their own businesses, they have a son, two daughters, three grandchildren, two dogs and a pet fish. Still, they manage to make exercise and eating right part of their routines. Matthew gained 40 extra pounds in his thirties. The couple built a gym in their home, allowing them to work out any time of day. By the time he went into his 40s, he had lost the weight. “With Diabetes, my body has enough to worry about without the stress of extra weight,” he explains. “I view each and every routine daily activity as an opportunity to excel." Matthew, an ordained minister and a black belt in Hapkido, enjoys competitive shooting and is a member of the Lexington Rotary Club. Pam is a Rotary volunteer and motivational speaker. They skip fried foods and sugar when possible, instead choosing protein-rich foods and snacks. They are both huge fans of the FitBit as a fitness tool. 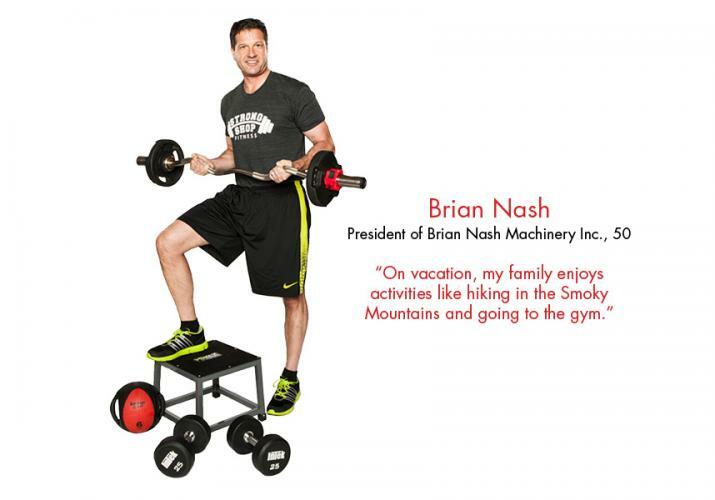 Now, Brian strength trains twice a week at Strong Shop Fitness and does cardio at home three times a week. He says his work schedule is tight, so he works to build his fitness routine around it. In five years of training at Strong Shop, Brian has reduced his body fat from over 25% to just 12%. To keep his diet in check, Brian has implemented a ratio of 40% protein, 35% carbohydrates and 25% fats. He enjoys eating broccoli, chicken, sweet potatoes, rice and eggs. His favorite snack is popcorn at the movie theatre – no butter, light salt – with a Diet Coke. 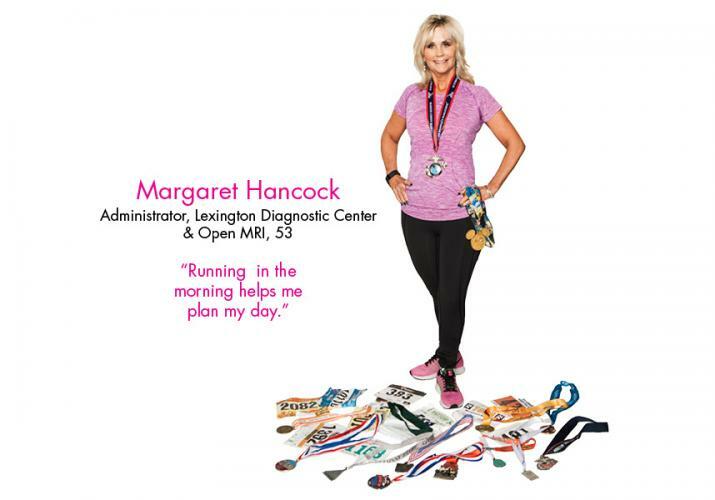 Since then, Margaret has completed twelve marathons and is still going strong well into her 50s. “Each race holds a special meaning to me, and they all have helped me realize I am stronger than I think I am and can persevere no matter what’s going on,” she explains. In addition to running, Margaret frequently participates in spinning class at Lexington Athletic Club. She also attends Shred classes at Strong Shop Fitness 3-5 times a week. For now, she plans on running the Charleston Marathon in January and then another in the fall of 2016, in addition to a half marathon. To ensure that his own life is long and vibrant, Dave aims to stay fit. He enjoys mixing up his fitness routine with running, lifting weights, riding bikes and rowing. However, having a busy life, he knows he has to make his fitness a priority. “If I don’t do it first thing, it doesn’t happen. I try and be at the YMCA before 6 am so it doesn’t interfere with my day,” he explains. 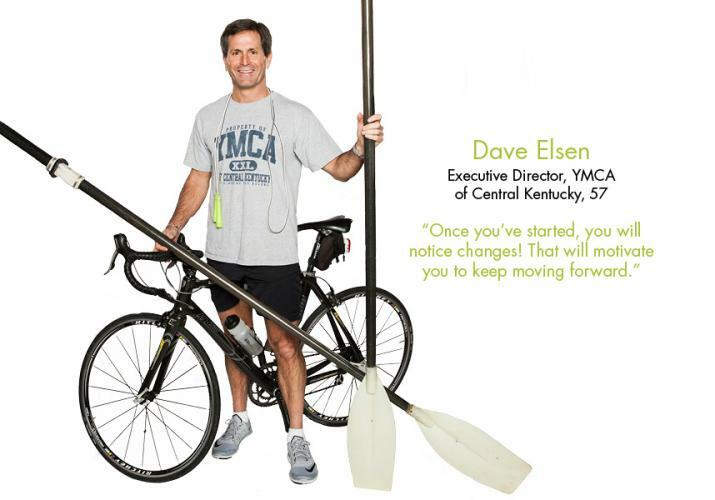 A husband with three adult children, Dave is committed to being fit for his family. “I want to do the things that they like to do, even as I age,” he says. Kari has osteopenia (thinning of her bones), so exercise and a healthy diet are even more critical to help stave off osteoporosis. As the Principal of an elementary school, Kari’s day starts early. She wakes up at 4:30 am, which allows her to do a 30-minute workout before she walks her 8-year-old Shih Tzu and heads off to work with 530 students and 75 staff members. Starting the day with fitness, she says, ensures that nothing else can get in the way. 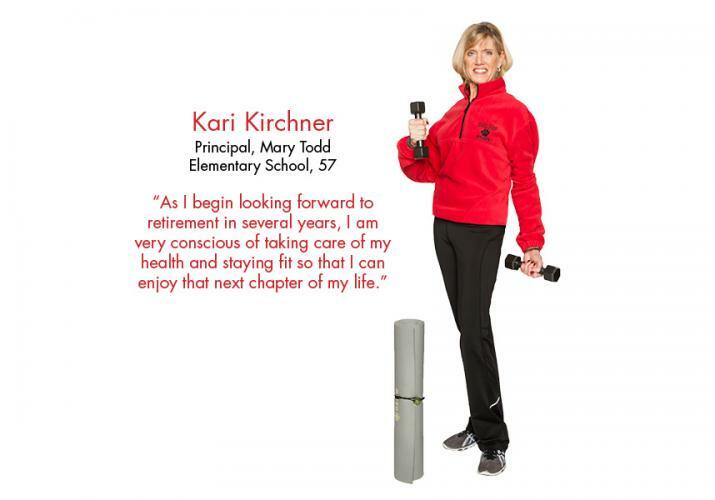 Kari is proud to help get her school involved with living a healthier lifestyle. “We have a Fitness Friday every month so that both students and staff can learn about and practice wellness. Our teachers at Mary Todd work movement/brain breaks into instruction several times a day,” she explains. 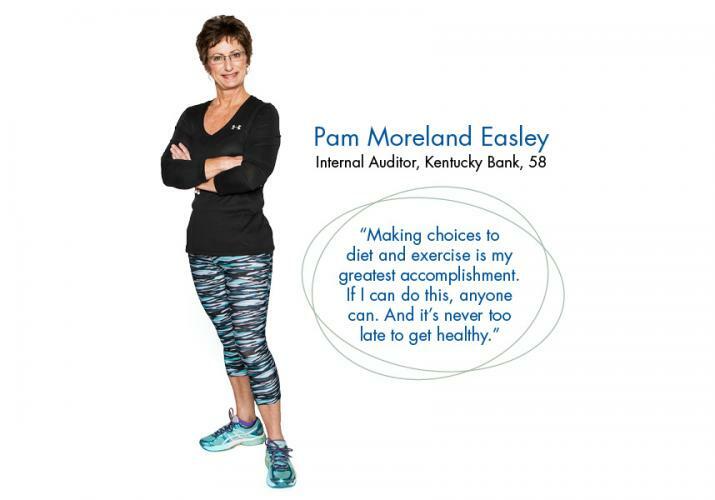 After nearly 5 years of trying to find the right medications to improve her RA, Pam says, “another round of testing revealed yet another medical issue on the horizon that I was just not willing to accept.” She began trying to lose weight on her own when a doctor recommended a medically supervised program for weight loss through Health Management Resources/University of Kentucky, which also emphasizes physical activity. After beginning the program in March, she has lost a total of 65 pounds! To keep fit, Pam sets aside 30 minutes in the morning to work out on the elliptical or weight machine as soon as she gets out of bed. “I try to walk every work day on my lunch hour either outside if weather permits, or at the local YMCA,” she says. She also stays active running her farm operation and excavation business with her husband. Together, they have three children and six grandchildren. When Rita was involved in a head-on collision in 1988, everything in her life changed. “I spent 8 years in pain, going from doctor to doctor trying to get my life back,” she says. “I was told to find a doctor who would work with me on pain meds, and to learn to live with the pain.” She developed Fibromyalgia and Psoriatic Arthritis, leaving her at her wits end while trying to care for a young son. “When I went to the YWCA and started to swim, I had my first day without pain,” she says. “I was amazed! 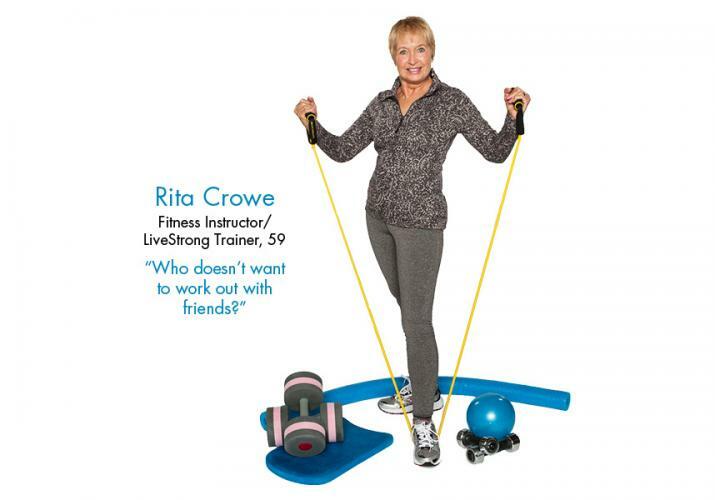 I knew there were other people that were walking around in the same shape that could have a better quality of life if they only knew.” Rita eventually was able to walk without the crutches or cane she had become dependent on. Rita was motivated to keep taking classes and eventually began teaching them. “I am now at the YMCA and have some water aerobics participants who have followed me for 26 years,” she says. Maynard’s job involves a lot of stamina and strategic thinking; he also wants to be healthy and strong for his family. “Fitness has to be a priority in order for me to succeed in both my professional and personal life,” he says. 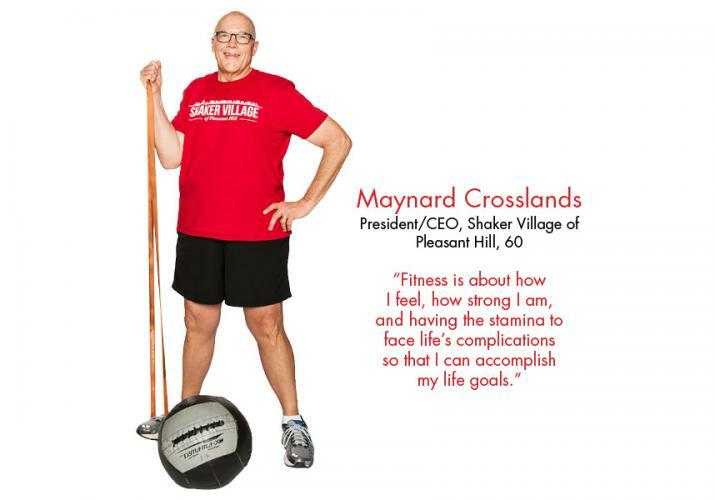 “I have learned that it is not about how I look, or how much I weigh,” Maynard explains. Twenty-one years ago, Terry had surgery to remove a non-malignant tumor on the auditory and balance nerve. “The surgeon recommended walking and physical activity as therapy. Meanwhile, Gail’s doctor suggested physical exercise to strengthen her skeletal structure and cardio system,” Terry says. Together, Terry and Gail enjoy spinning at Cycle You. 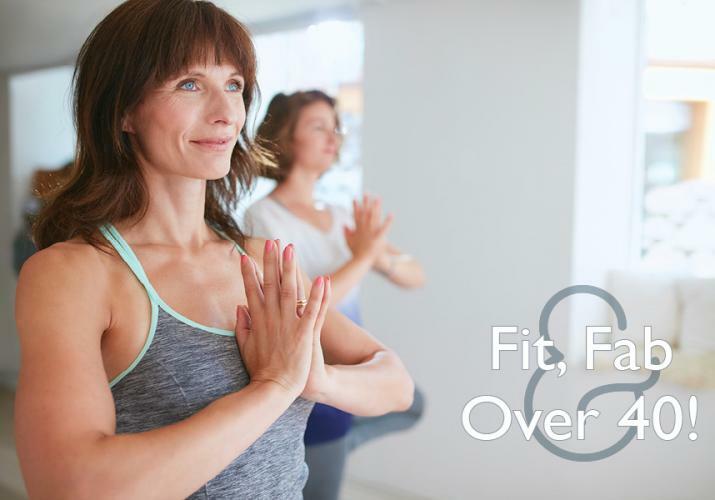 “We both have a little arthritis creeping into our systems and spinning helps us stay limber and gives us energy,” Gail explains. 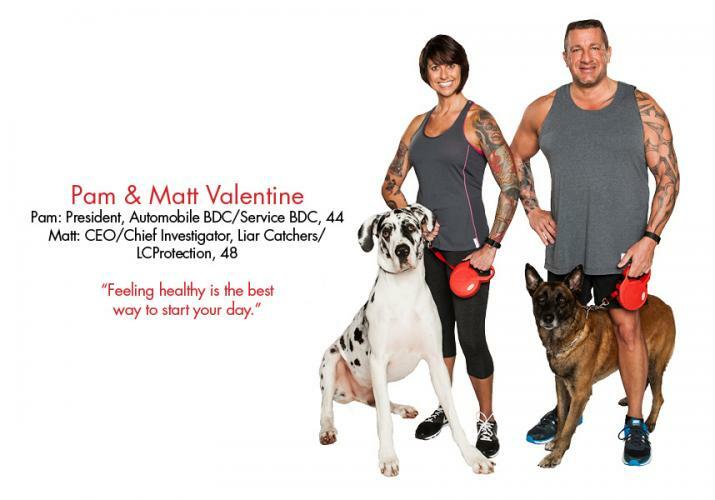 “It’s easy on the joints!” In addition to spinning, the couple enjoys walking, biking, working at their small business and doing deep-breathing exercises. To keep on top of their fitness, the couple has to stay flexible. “We operate a small family business, which means work always comes first over other activities. We schedule our spinning after work hours and before we go home,” Gail says. The couple has two grown children and grandchildren ranging in age from 9 to 21. “Our fitness activities help us with our blood pressure, cardiovascular system, muscle tone and skeletal structure. It keeps our lungs strong and our bodies young. We meet lots of nice, interesting people,” Terry says. 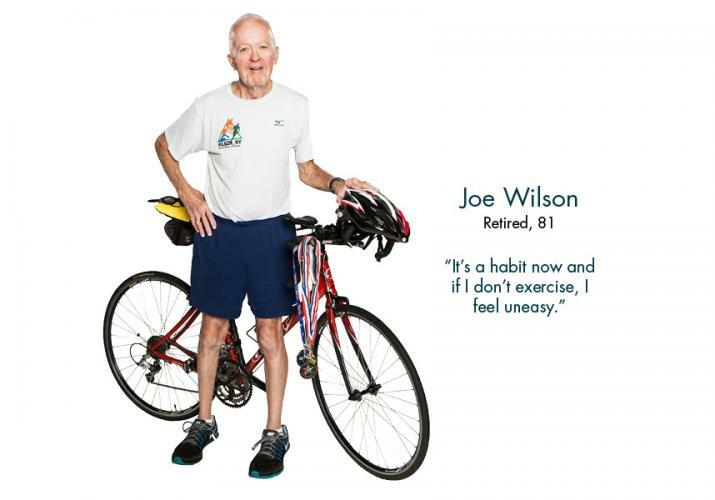 Joe has completed 50 triathlons – all since he turned 69! Joe began running in his 40s. However, his arthritic joints have made running uncomfortable and inconvenient. Rather than give up on his fitness, Joe has simply switched gears. Now, he swims three times a week with the UK Masters swim program. In the winter, he takes spinning classes at HealthwoRx three times a week; during the summer, he bikes outdoors. He also runs when his joints allow it, which he says is infrequently. For Joe, staying active is necessary. “I just don’t feel well without frequent exercise,” he explains. After retirement and until recently, Joe worked part-time teaching at UK; now, he is a chemistry tutor for middle and high school students, as well as at the Carnegie Center. He has also done other teaching and outreach work, including serving on several non-profit boards. Joe’s wife prepares balanced, gluten-free meals for Joe, as he has celiac disease. He enjoys snacking on nuts and yogurt and says his favorite “splurge” food is flourless chocolate cake and ice cream. Joe has three adult children. setting a regular schedule. “Develop the habit,” he advises. For him, an approach that worked well was exercising with a group on a set schedule, often early morning. Don't give up on those resolutions - let these locals show you how it's done!